Enjoying life's simple things just make it a little richer, of course, if it's done right. Trying our samplers will tell you which will be your favorite. Who knows... you may have different favorites for different foods! 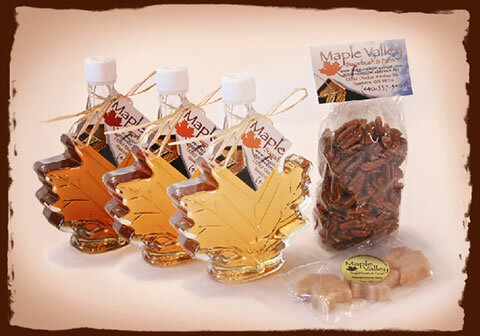 Whether giving to a friend, relative or loved one, ya just can't go wrong with Maple Valley's products for gifts. 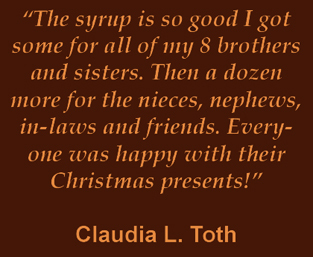 Keep us in mind for corporate and business gifts! You will be sure to make a great impression all year long! 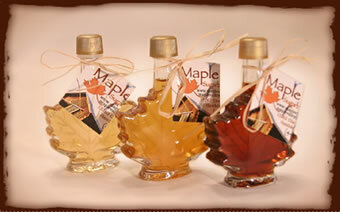 Click on over to the maple syrup page for the 3 amber descriptions.